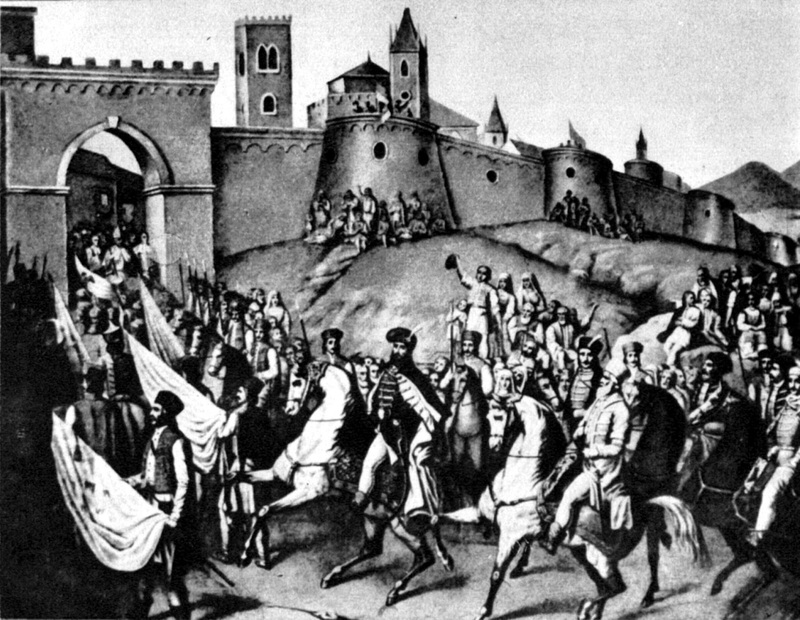 The image below is from the entrance to the city of Alba Iulia by Prince Michael the Brave who united the three principalities for less than a year (1599-1600). This is a strong image- most especially to the Romanian population of Transylvania- to many people since this is one of the few times before 1919 that Transylvania was a part of what would become Romania. Otherwise, it was a part of the Kingdom of Hungary. The image below shows the meeting in which the Romanians, Germans (Saxons) and Hungarian delegates met in Alba Iulia in 1918 to vote if Transylvania would unite with Romania, or vote to remain part of Hungary. Most of the delegates voted to unite with Romania- the notable exception being the Hungarian delegates. 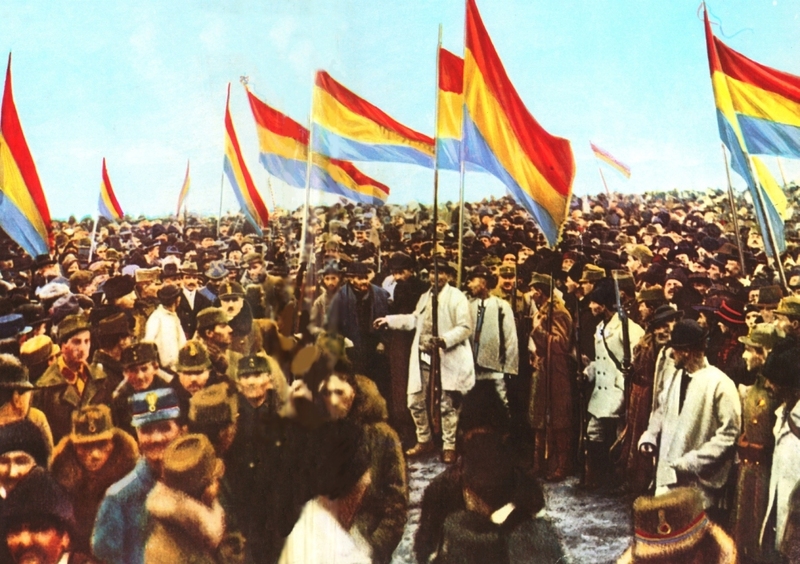 As it was, the Romanian Army had won several victories in the area against the Imperial Forces of Austria, and the vote was simply another step in the direction which was already in motion. 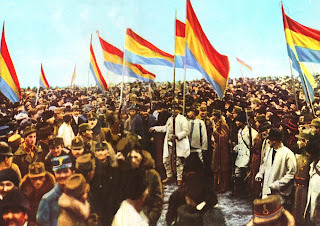 In 1922, Alba Iulia was the site of the coronation of King Ferdinand and Queen Marie of Greater Romania. This changed the maps of Eastern Europe again until 1940, and Alba Iulia played an important role in this event.